Day 8 photo: the hairdresser. 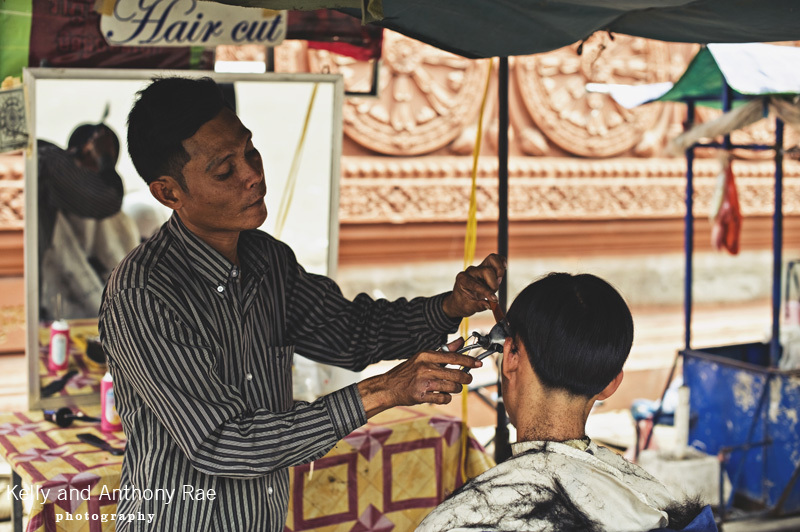 Dotted all over Phnom Penh and Cambodia are these hair cut stands. These are predominantly for men to get their hair cut and have their facial hair shaved. The basic setup is a chair, mirror, razors, combs, scissors and a spray bottle, more often than not in a simple wooden shack or under a piece of cloth. Prices are about $1. The downside is that there are a limited number of hair styles available. What’s the average price for a hair cut in Australia these days?